A classic gift - perfect for get well, graduations, congratulations - any time you want to give something personal and special. 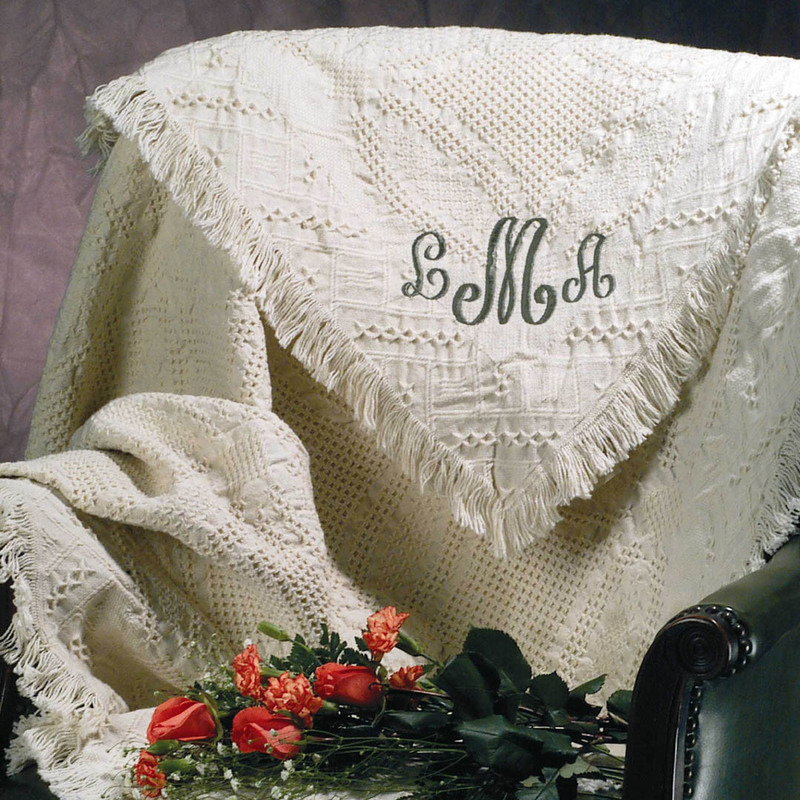 Natural color, 2-layer 100% cotton throw can be embroidered in your choice of thread colors with a 3-letter monogram or name. I ORDERED THIS BLANKET FOR A WEDDING GIFT AND LOVED THE WAY IT LOOKED AFTER THE EMBROIDERY! OUTSTANDING JOB!